New Delhi: Robert Vardra, Congress chief Rahul Gandhi’s brother-in-law, was questioned by the Enforcement Directorate for the second day on Thursday, for over six hours, in connection with a probe into allegations he laundered money to purchase illegal foreign assets. In the second round of questioning, Vadra was confronted with his mails that were exchanged with Sumit Chadha, a relative of absconding arms dealer Sanjay Bhandari, IANS quoted sources as saying. Vadra was asked about the mails he exchanged with Chadha in reference to a London property, the ED sources added. They said that during the questioning, Vadra was being “confronted with” documents that the agency has obtained or seized as part of its probe in the case, including those linked to absconding defence dealer Sanjay Bhandari. Vadra has also shared documents with the investigating officer of the case and has assured some more will be provided as and when he gets them, the sources said. His wife Priyanka Gandhi reached the ED office at around 9:25 pm, after which the two left from there. On Thursday, Vadra arrived at the ED office in Jamnagar House in central Delhi in an SUV at about 11.25 am, about an hour after his team of lawyers reached there. A team of three ED officials, including the investigating officer of the case, has put across about two dozen questions to Vadra over two days. His statement is being recorded under Section 50 (powers of authorities regarding summons, production of documents and to give evidence) of the Prevention of Money Laundering Act, as was done on Wednesday, the sources added. His appearance before the ED acquired political overtones after his wife Priyanka Gandhi, appointed Congress general secretary in-charge of eastern Uttar Pradesh, accompanies him to the investigating agency’s office on Wednesday. She took charge of her new post at the Congress national headquarters on Akbar Road shortly after that. “He is my husband, he is my family…I support my family,” Priyanka Gandhi said in a show of support to Vadra, who had returned from London earlier on Wednesday. 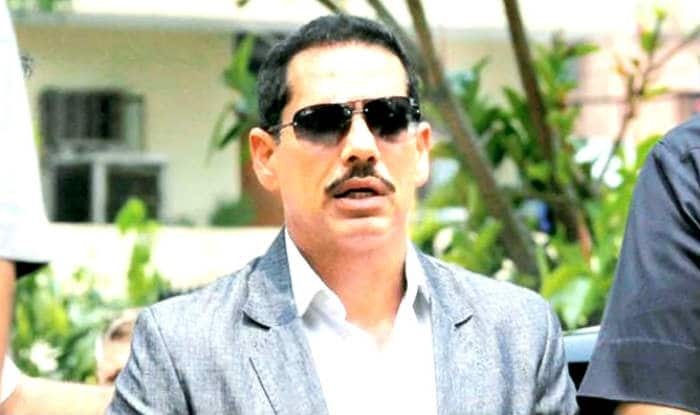 That was the first time Vadra had appeared before any probe agency in connection with alleged dubious financial dealings. On February 2, he was directed by a Delhi court to appear before the central probe agency and cooperate in the probe after he knocked on its door seeking anticipatory bail in the money laundering case. The agency told the court that it filed a PMLA case against Arora after his role cropped up during the probe of another case by the Income Tax Department under the 2015 anti-black money legislation against Bhandari. Seizing on the questioning of Vadra, the BJP has attacked the Congress and alleged he got kickbacks from a petroleum and a defence deal during the UPA rule. Vadra is also expected to present himself before ED on February 12 in Jaipur in an unrelated money-laundering case related to a land scam in Bikaner. The Rajasthan High Court has directed him to cooperate with the agency in the case.